The following article has been taken from Daily Mail Online. Next year, during our Movements unit, our Narrative Input Chart is based on the book Lewis Hine & the Crusade Against Child Labor. 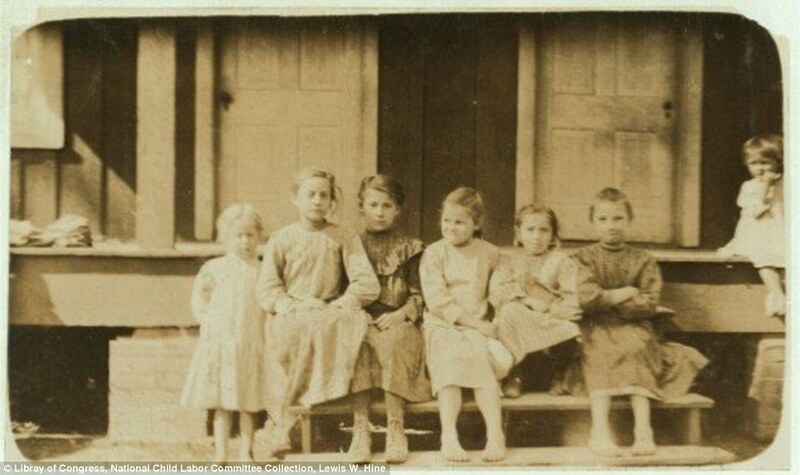 Lewis Hine was a teacher & an activist. 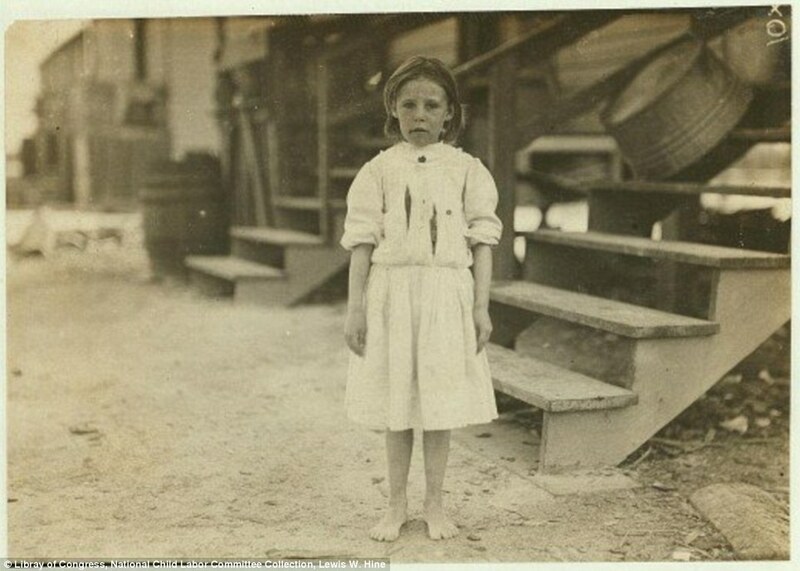 Hine's images of working children stirred America's conscience and helped change the nation's labor laws. 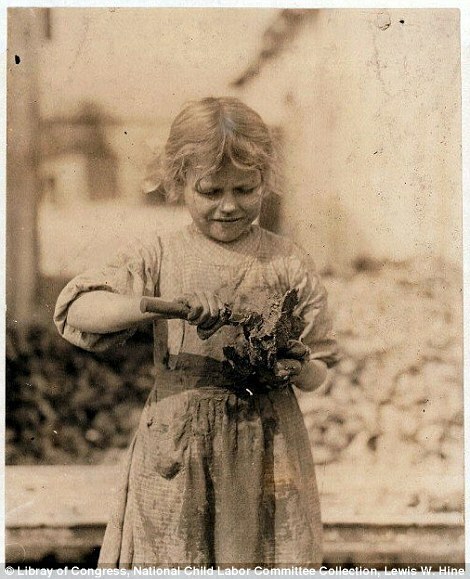 Through his exercise of free speech and freedom of the press, Lewis Hine made a difference in the lives of American workers and, most importantly, American children. There is still work to be done, however as child labor continues many parts of the world. "According to UNICEF estimates, some 250 million children between the ages of five to 14 work worldwide." 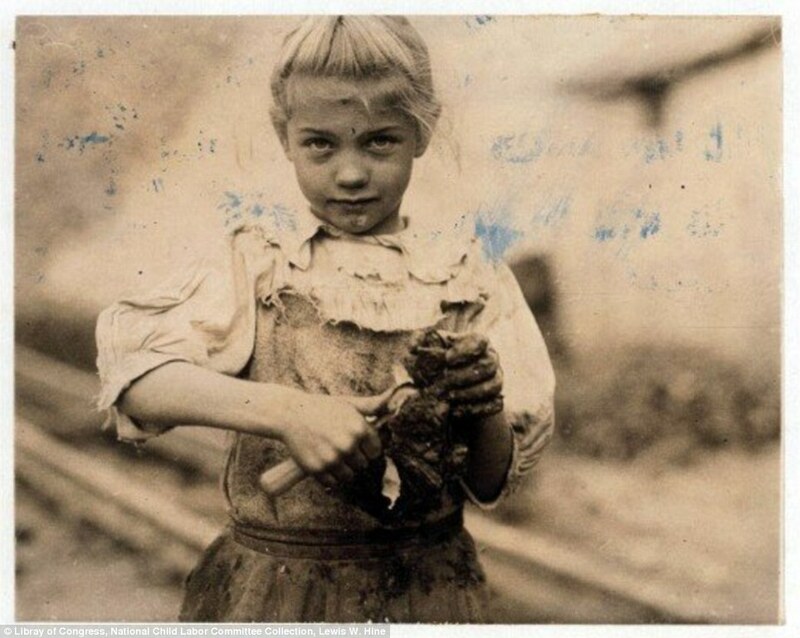 Thousands of Hines' photographs are available online at Lewis Hine Photographs. 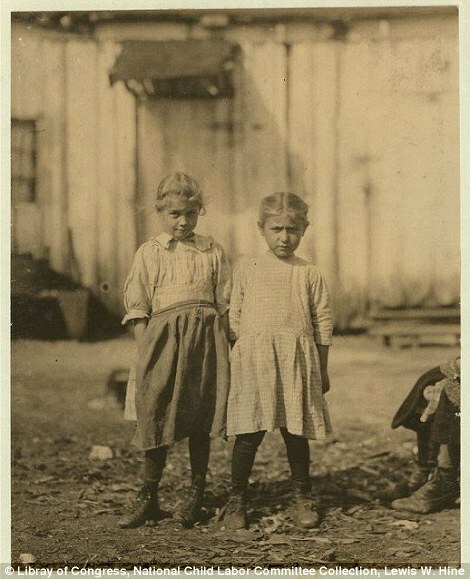 Working as an investigative photographer for the National Child Labor Committee, sociologist Lewis Hine documented working and living conditions of children in the United States between 1908 and 1924. 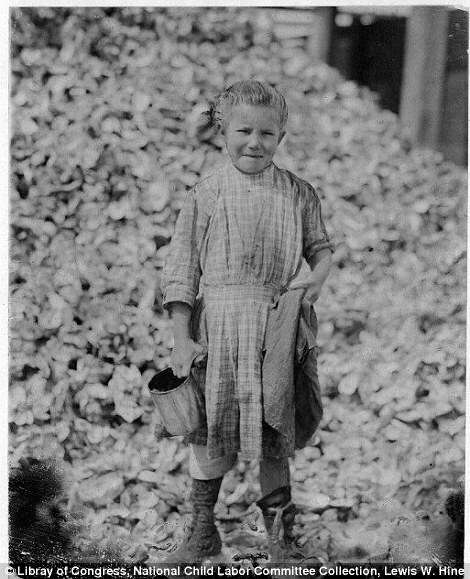 In a series of poignant photographs, Mr Hine documented children who were sent to work soon after they could walk, and were paid based on how many buckets of oysters they shucked daily. 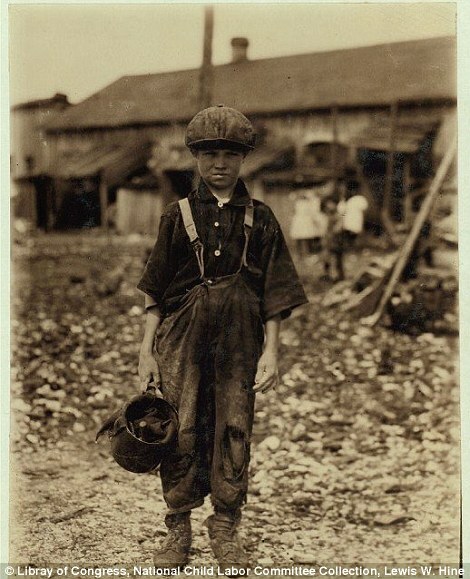 The advent of industrialisation at the turn of the 20th century meant an exploitation of child labour, as factory workers often saw children as a cheaper, more manageable alternative to older workers. 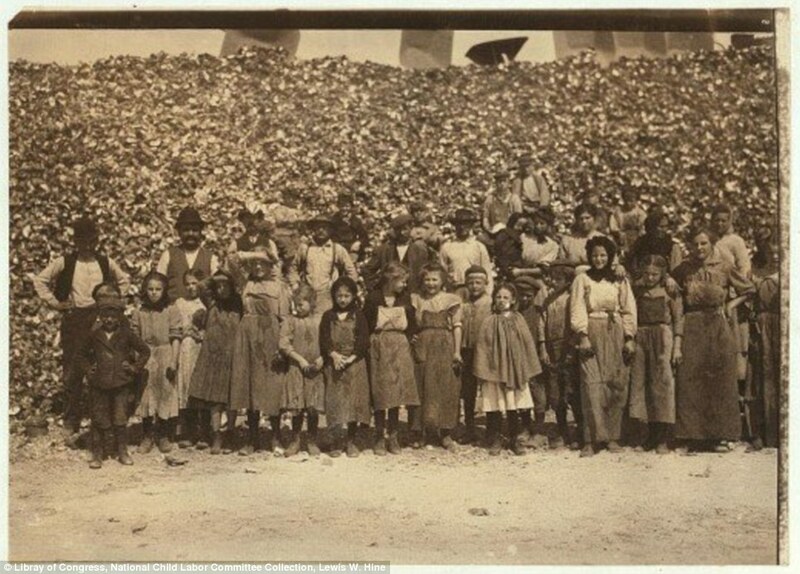 In the course of several decades, Mr Hines, armed with a camera and a sense of compassion, documented the harsh conditions of child labourers, snapping shot after shot of child miners, factory workers, and seamstresses. He covered around 50,000 miles a year, photographing children from Chicago to Florida working in coal mines and factories. All of his work at the time was for the National Child Labour Committee; he began the project in 1908. 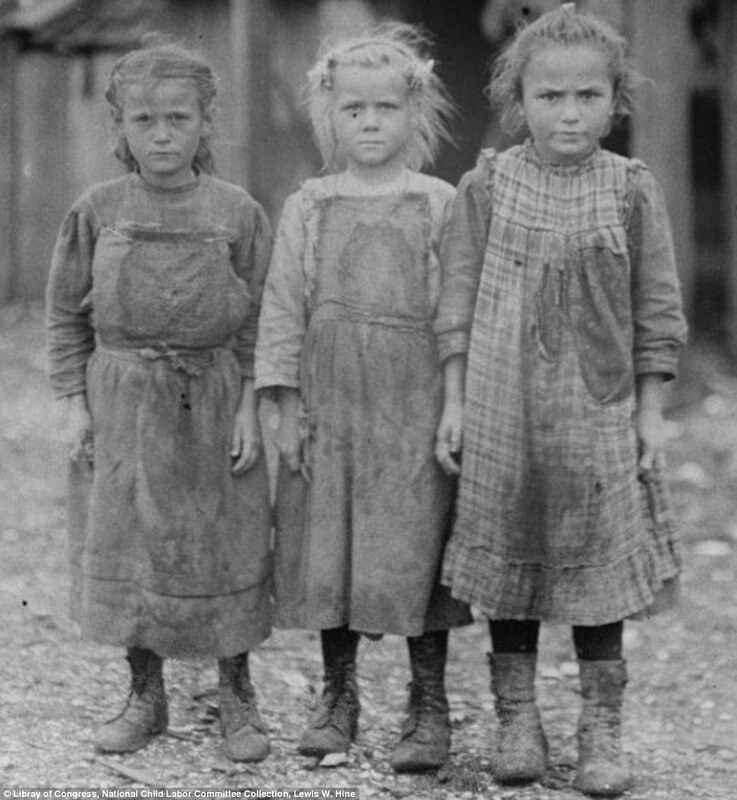 Children were expected to wield sharp knives and shuck oysters from before dawn to well after dusk, often working for only dollars a week. 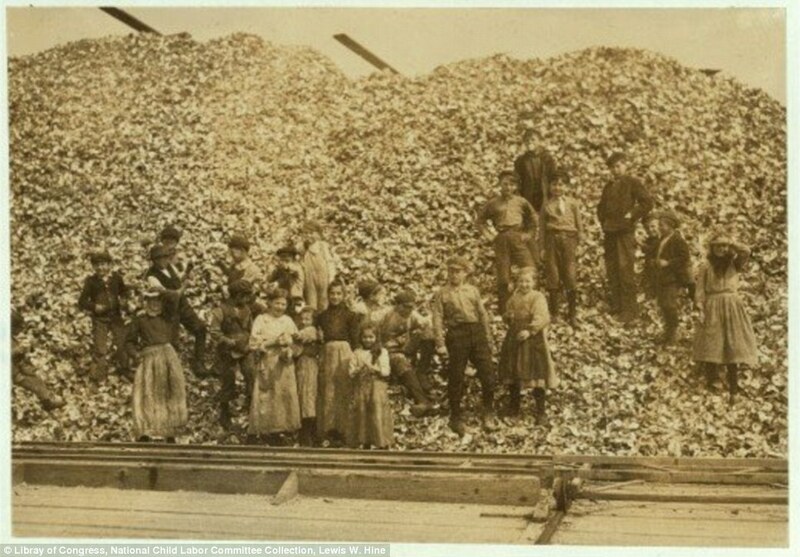 Oyster shucking and packing houses were a common fixture on coastal towns along Virginia, Maryland and Louisiana, and up along the Eastern Seaboard to New York and beyond. 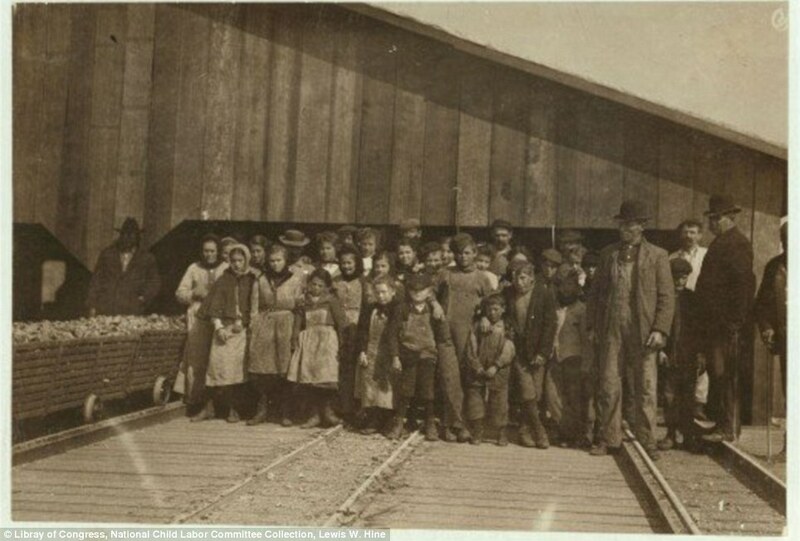 Children – often those of poor immigrants – worked alongside their parents and newly-freed slaves. They were often hired in favour of older workers because of their cost efficiency. They were also easier to manage. Some children went to the factory to work both before and after school, but the unfortunate ones were unable to get any education. 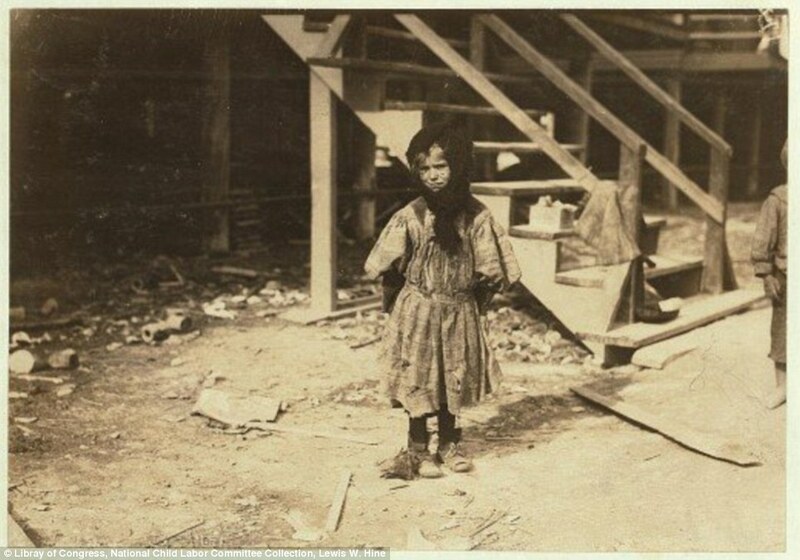 In photographs, these children are often filthy, wearing tattered clothes, and on the brink of exhaustion. Factory work was difficult business. The oysters were often steamed and were passed on to workers to open – or ‘shuck’ – the bivalves, thus expediting the canning process. Children were on their feet all day, with only cheap shoes between them and the docks. 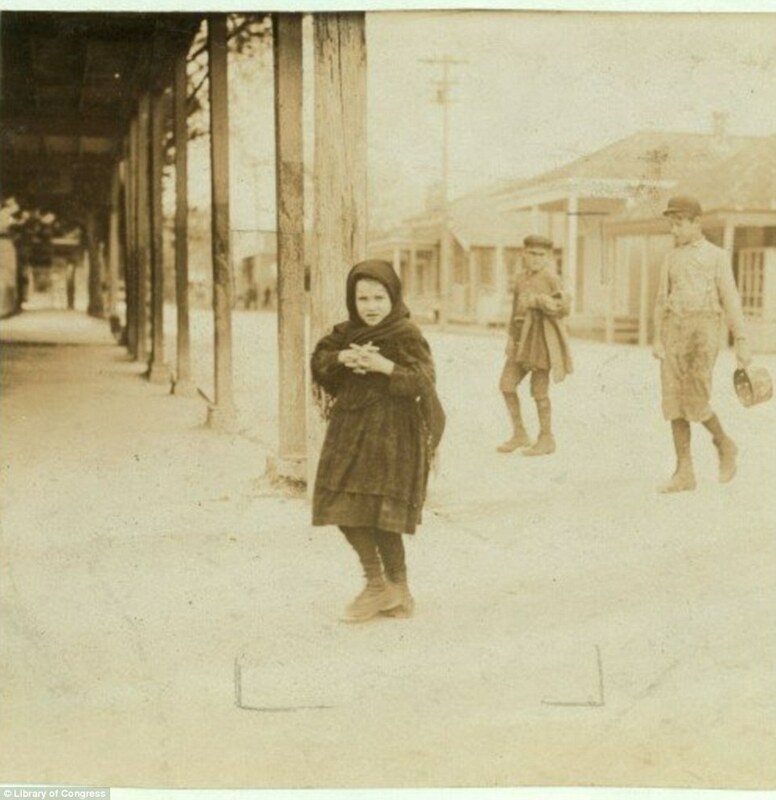 According to figures, women and children were paid only 60 cents to $1.25 per day, though the oyster industry made millions. 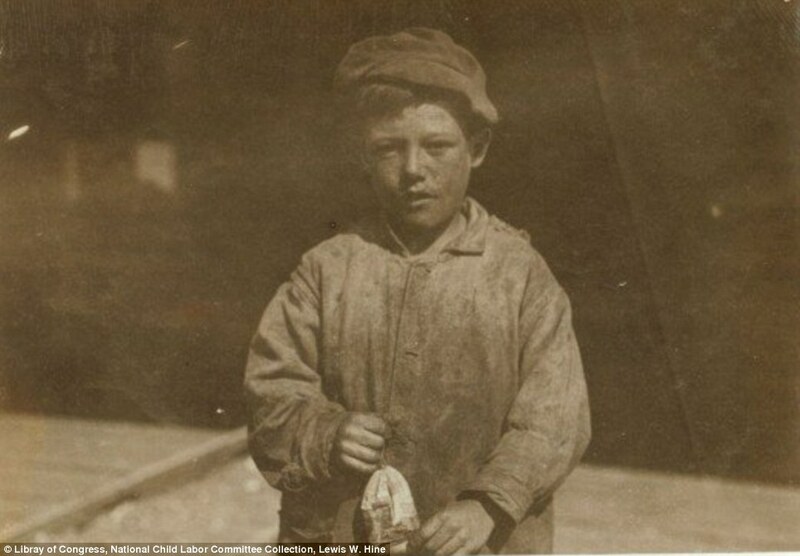 The National Child Labour Committee was formed in 1904 and launched many campaigns to end child labour, though the Fair Labour Standards Act was not passed until 1938. Before that, individual states had taken smaller measures, including limiting the work day and banning employment of children under a certain age. However, child labour is still being exploited in many parts of the world. According to UNICEF estimates, some 250 million children between the ages of five to 14 work worldwide. More than 5,000 of the activist’s pictures are stored within the Library of Congress, showing an America from another time and place.